About 800 people filled a hotel ballroom in Calgary to protest the tax in a rally organized by a conservative media and opinion outlet. Ken Murdoch has lived in Calgary for 68 years. He is not happy about the Alberta carbon tax that goes into effect in just a few short weeks. "At my age, it is not going to matter a lot, but it certainly will for my children and grandchildren," Murdoch told CBC News Sunday. 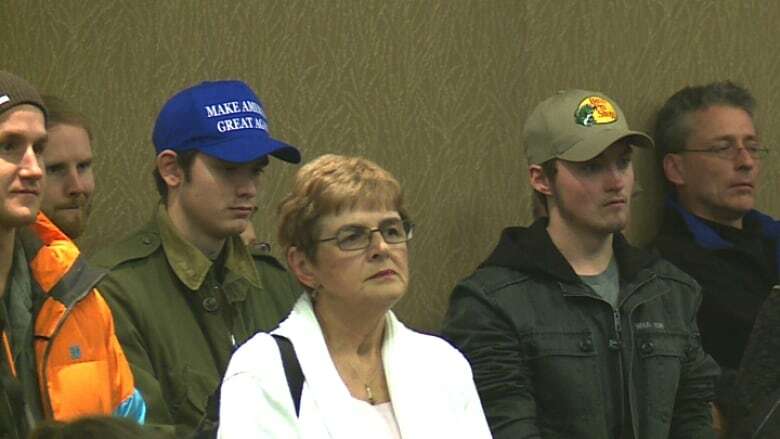 He was among approximately 800 people who filled a hotel ballroom in Calgary to protest the tax in a rally organized by conservative media and opinion outlet Rebel Media. "Brad Wall said at the premier's meetings, he says, if this is a neutral tax … then why are we doing it? For Alberta to become a socialist province is beyond comprehension for me," said Murdoch. "We need Brad Wall instead of Rachel Notley. Rachel Notley was a mistake," he continued. "Everybody knows it, that's why so many people are here. It was a protest vote. Rachel Notley does not know how to run a business, period. We need business people there. I think in the next election, and I know the CBC doesn't like this, but you are going to see a lot more Trump-type politics in Canada. We are going to have to or we are going to be totally broke." Josiah Shannon, 17, is a first-year plumber looking for employment. "We don't believe in the carbon tax," Shannon explained. "In a recession we should have less taxes so we can increase jobs. We just don't need it at the moment." 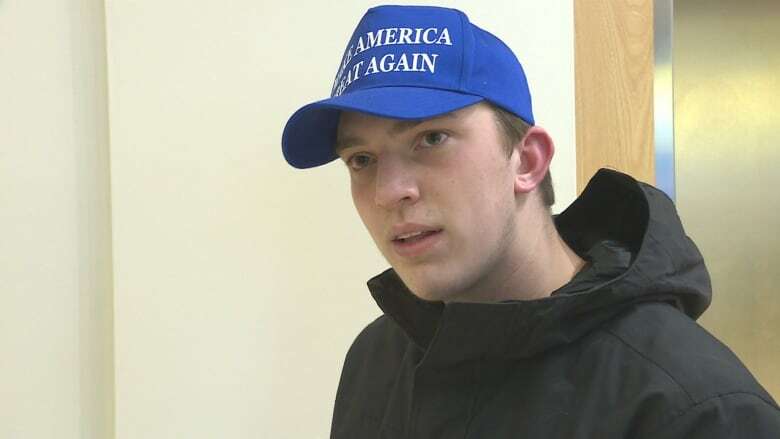 Shannon's buddy, Keagan Jones, is on the same page, also sporting a Trump-style Make America Great Again baseball cap. "I think the main reason I am against carbon tax, is because I think it is pretty pointless," said Jones. "I don't really see how it is going to help the environment. Researchers do say that there is no way whatsoever that it actually is going to cut down on carbon [emissions], people still need to have heat for their homes. The idea of change. We want to get in another conservative government, sort of what the Americans did." It's exactly the sentiment that three Conservative Party of Canada leadership hopefuls hoped to zero-in on for support. Ontario MP Kellie Leitch took some of her time at the podium to chastise the media. "The CBC and media elites out there, they are saying that leadership means telling you what you should think," Leitch said. "Telling you that you have done something wrong because you are law-abiding citizens, just honest, hardworking people. That is not leadership, that is elitism." Leitch says hard work and giving back are Canadian values. "Go out and work hard so you can give back to your community, give back to your country and I know you are doing that every single day," she said to applause. "I can tell you, having grown up in Fort McMurray, that is exactly what I learned at the dinner table." Saskatchewan MP Brad Trost said if he were chosen for the top job, Canada would be open for business. "This whole climate change agenda, is not science, fact-based," Trost said to thunderous applause and a standing ovation. "It is based on the government wanting to give away our prosperity and give away our freedom. If I am so honoured someday to be prime minister, the war on oil and gas and coal will be over. That means no carbon tax, that means no cap-and-trade, that means no regulations that are there to strangle the industry. No if, no and, no but, no maybe." Trost says the province has suffered under the NDP government. "Since Rachel Notley came to Alberta, 140,000 jobs have been lost," he said. "Alberta's unemployment rate is now nine per cent, the unemployment rate in Calgary is closing in on 11 per cent. But instead of giving people a hand up, our governments both federally and provincially have been giving people the boot." 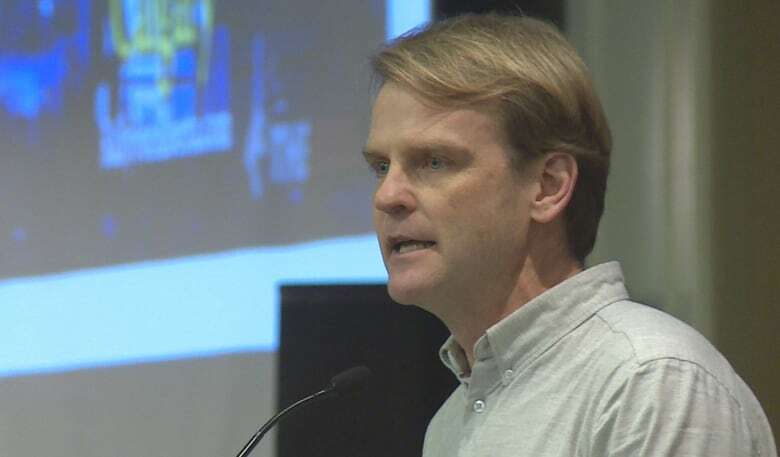 Leadership candidate Chris Alexander — who attended the last rally and took heat for watching the crowd briefly chant "lock her up," in reference to Notley and remaining silent — says he will confront political correctness if given the chance. "Lots of people told me not to come," Alexander said. "Lots of people back east, donors, establishment types, media top brass, they are warning you, they are saying, 'Why would you do that? Why are you going back there?' I am not going to fold to a bunch of politically correct people," he said to applause. He says the country and province need to work on keeping jobs at home. "Job creation is the most important issue in this country right now," Alexander said. "The sad fact is that we have a federal government and we have multiple provincial governments that are exporting Canadian jobs, they are sending them abroad. Carbon taxes across this country are sending jobs elsewhere, where are they going?" Rally attendee Sandra Kehler says now is not the time for the tax. "Just finding a life for myself, an additional tax on anything is going to make it harder," Kehler said. 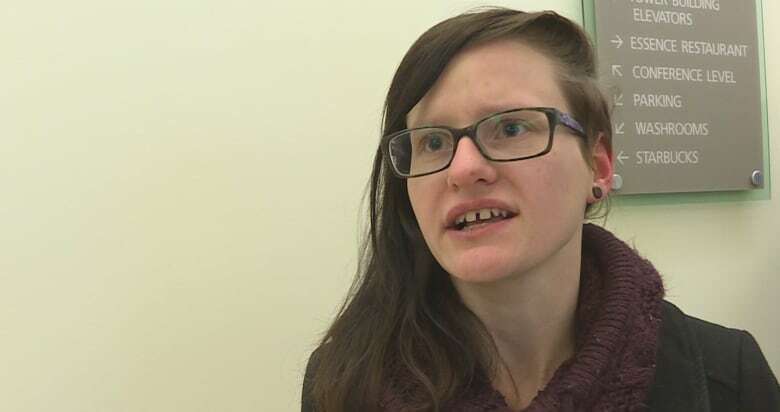 "I am trying to make it on my own for the first time and having an extra tax added on to that is one of my main concerns. I am employed and I live with two housemates just to make ends meet." 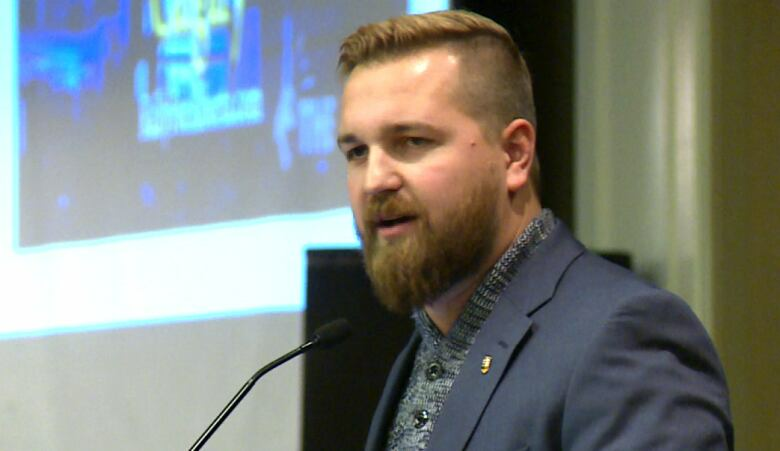 Wildrose MLA Derek Fildebrandt says he's been enjoying the aftermath of the presidential election stateside. "Since the United States election, I have actually done my best not to watch or read conservative media," said Fildebrandt. "I have been going out of my way to watch and read liberal media and left media, to just savour the meltdowns, the meltdown of the left. Watching these snowflakes cry." He says the federal government's priorities are out of line with Canadians. "Speaking of liberal meltdowns, I am disgusted that the elites in this country care more about what Justin Trudeau has to say about Fidel Castro than what regular Albertans have to say about the carbon tax." Attendee Ken Murdoch says the rally won't likely change anything, but it's symbolic. 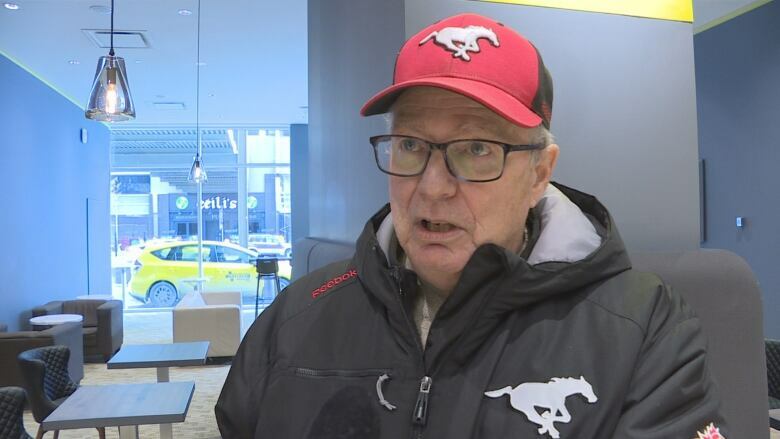 "People have been trying to fight socialist governments in Canada for 50 years and nothing will come of this, but what I see that is nice about this, is the amount of people that are showing support," he said with a smile. "It gives us all hope." Editor's note: An earlier version of this story included a photo of Wildrose MLA Derek Fildebrandt that could be misconstrued. The CBC regrets the error.